Who Is RV Repair Direct? You may have noticed that at the bottom of each page, it reads “Powered by Wholesale Warranties”. Wholesale Warranties is a provider of extended service contracts, often referred to as RV warranties, and goes above and beyond to assist customers with their contracts, claims, and repairs. Stemming from a deep understanding of what it’s like to be an RVer looking for trusted repair facilities, Wholesale Warranties dreamt up and launched RV Repair Direct. Our goal is to provide a service that RVers can trust, and one that will work seamlessly in alignment with their warranty. RV Repair Direct is open to all RV owners, and we are happy to help facilitate honest and trustworthy RV repairs for the community as a whole. 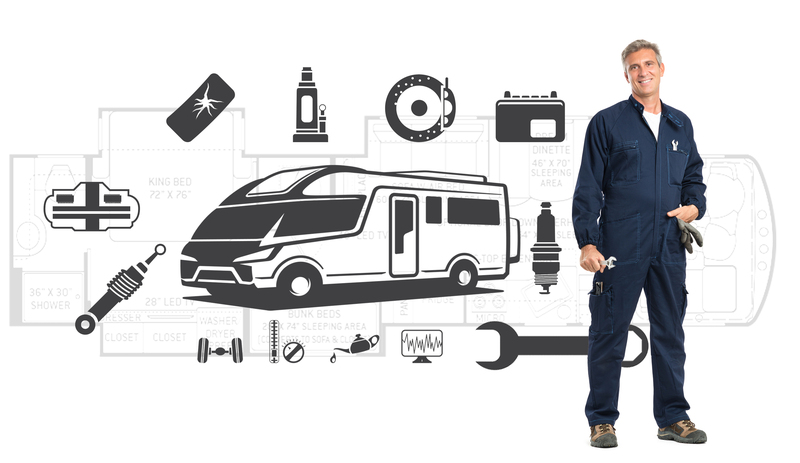 What is RV Repair Direct? RV Repair Direct is a resource for RVers to actively seek and review RV repair facilities and mobile mechanics. The RV lifestyle can often times be a nomadic one, and when you’re in a foreign place and suffer a breakdown, finding a trusted facility can be a daunting and scary task. RV Repair Direct was created for that sole reason, to be a tool for RVers in times of need. The site will help you find a facility in your area, and most listings will include reviews from fellow RVers to ease your decision making. On top of this, you can contact repair facilities directly through their listings to schedule your service! Even if you are not in current need of RV repairs, we encourage you to play around with the site and become familiar with it. On the home page you will find the options to either enter your city or zip code or search for a specific shop by name. After clicking “search” you will be given a list of facilities with shop details and ratings. If you would like to leave a review for a specific shop, enter the shop’s name and location, proceed to the listing, and click on Leave a Review. This is a great way to be an advocate for your fellow RVer: help travelers like you find the best RV repair facilities and RV mechanics by submitting your honest reviews. If you have any questions, we would love to hear from you at info@rvrepairdirect.com. You can stay up to date with us on our Facebook and Twitter pages, and let us know how RV Repair Direct has helped you in your RV lifestyle!